The environment of this bar is very friendly and one can have a nice evening enjoying here with drinks and snacks. 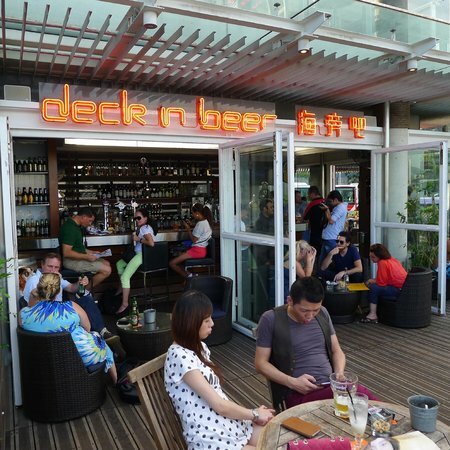 Deck N Beer Bar is very customer friendly bar for people and is located in Tsim Sha Tsui region which is very good. The bar is at the very right place at the Avenue of stars. If you start from the Tower Clock you will finish right at this bar. 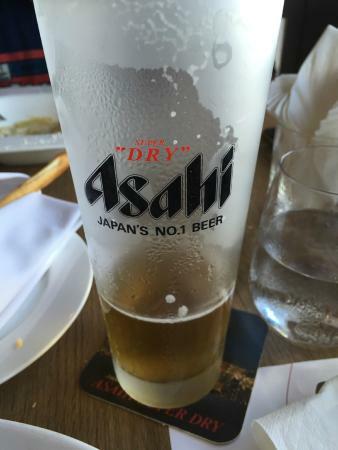 It's got nice choice of beers, and spectacular view of course! At the end of the avenue of stars is this nice little bar. 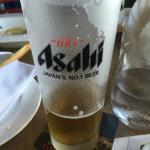 We enjoyed a couple of beers while looking at Hong Kong island. Perfect place to stop, rest, and enjoy a beer. Unfortunately it was shut when we visited on 12 March 2015. Lots of building work going on behind. Don't think that hss anything to do with it. - Looks permanent. 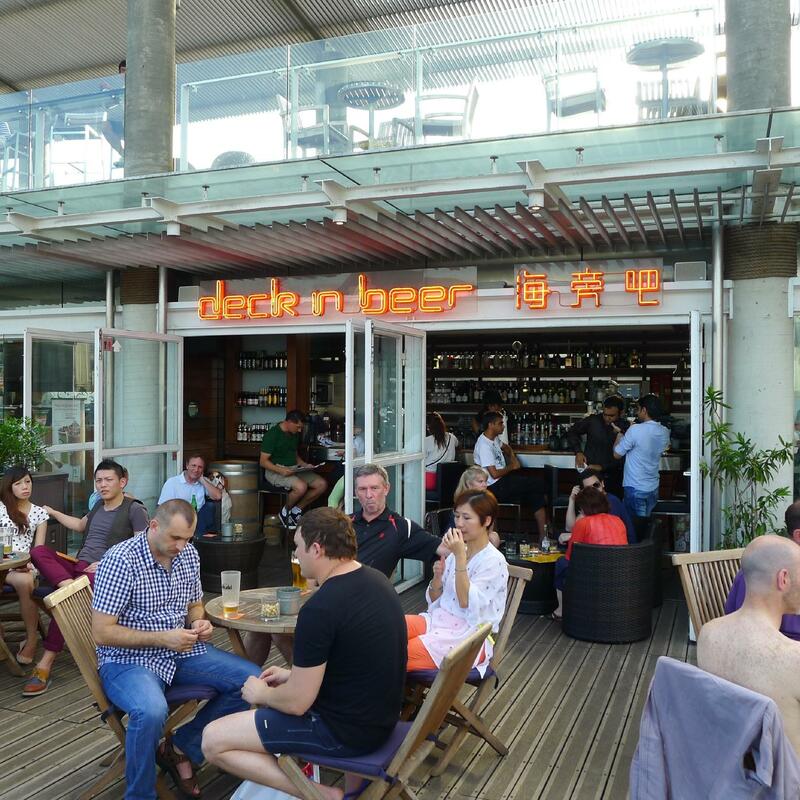 Get quick answers from Deck n Beer Bar staff and past visitors.